There exists but one plug-in Tesla Model S competitor available in the US today: the Porsche Panamera S E-Hybrid. 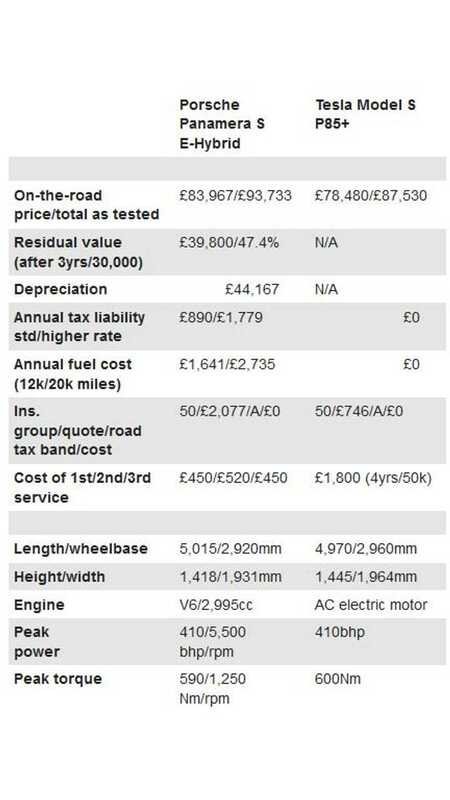 Pricewise, the Panamera S E-Hybrid is in the same ballpark as the Model S. The Panamera S E-Hybrid starts at $99,000, so it's comparable to a high-level spec Model S.
With that in mind, how does the Panamera S E-Hybrid stack up against the Model S? Ignoring the plug-in hybrid versus pure electric argument, we think these two vehicles compete head on. 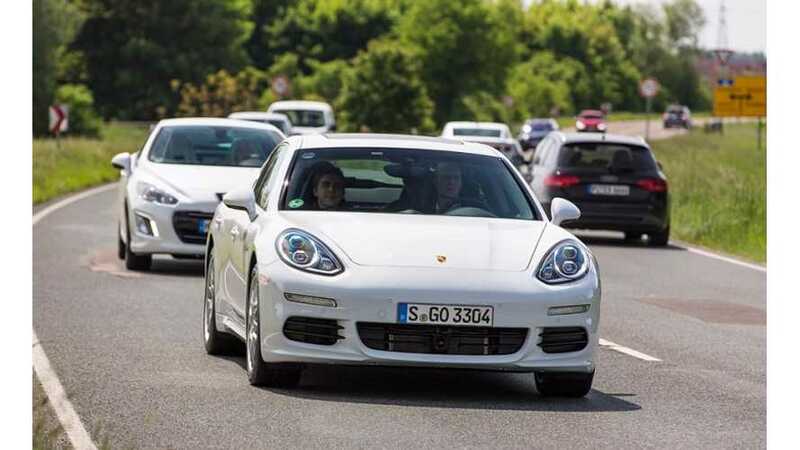 Here we present the results of Auto Express' head-to-head Tesla Model S versus Porsche Panamera S E-Hybrid comparo. "Tesla is virtually unknown in the UK right now, but in the US it’s already become a highly aspirational brand, with premium outlets and a trendy celebrity customer base. However, there’s no doubting the long-established prestige and reputation of the Porsche badge." "The Porsche makes more sense for more people than the Tesla – for now. It has decent range and top speed in full-electric mode, yet it’s not totally reliant on charging points. It’s nearly as quick as the Model S, plus it handles better and has a plusher cabin. But it’s expensive to buy and costs more to run." 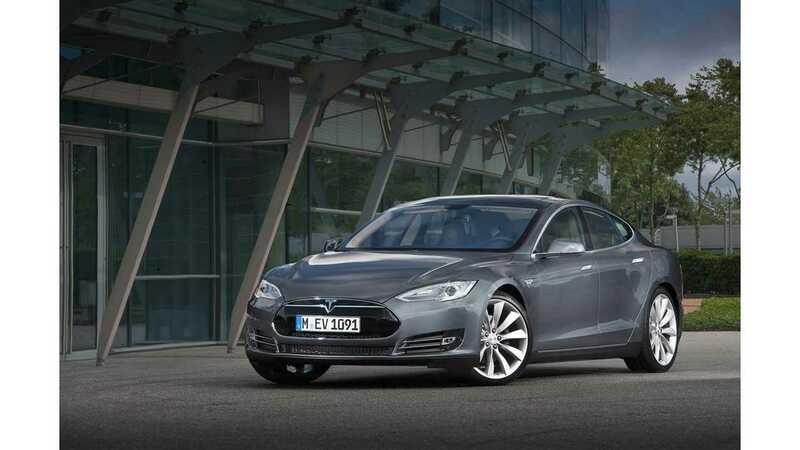 "Tesla's Model S is the most convincing electric car we’ve driven. It’s an astonishing achievement for a small company and if it fits your driving needs, it could save you thousands of pounds in running costs. But until charging infrastructure improves, its real-world appeal is limited, so it comes second." The winner, according to Auto Express, is the Porsche Panamera S E-Hybrid, but only by a hair. It seems Auto Express is saying that once the Supercharger infrastructure spreads around the world, the Model S becomes the winner. Until then, the Porsche squeaks into the lead.